On the western coast of Turkey sits one of the most stunning archaeological sites in the modern world, Ephesus. It was here that John, referred to in the New Testament as Jesus' beloved disciple, lived for most of his life. 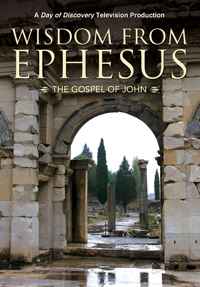 Believers from the early church in Ephesus is also where John put into writing his personal account of Jesus' life and teaching. We know these writings today as the New Testament book titled "The Gospel of John". Journey with Michael through this ancient site, and gain a fresh look at the life and times of John, the last living disciple, and the Living Word John followed. Includes Michael's song "Come and See"